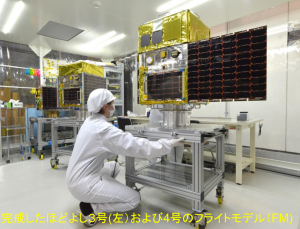 At Nakasuka and Funase Laboratory, we are developing a small satellite called “TRICOM-1R”that utilizes state-of-the-art civil technology and aiming for its launch. 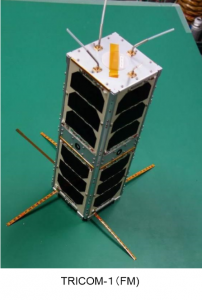 TRICOM-1R is a ultra-small satellite with 3kg class, and by receiving weak radio waves from the ground, we are planning to perform various experiments such as communication experiment called S&F that acquires ground information in an area without mobile network and so on and earth photography by camera and so on. This time, thanks to the assistance of antenna1st, we are aiming for installing lithium-ion batteries in the spacecraft. 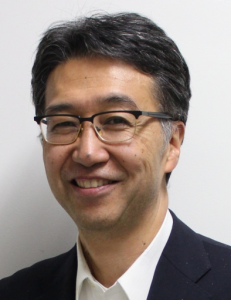 We appreciate your cooperation in this project of the laboratory in the future. 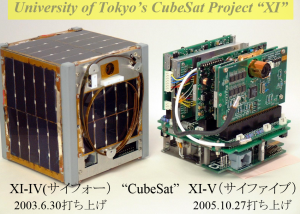 The launch of a ultra-small satellite TRICOM-1 that our company sponsored was decided. We will launch at JAXA compact rocket “SS-520” 5 that is responsible for Japan’s next-generation space development.